Questions about Kichler Lighting 3678OZ? The Olympia Collection brings a modern twist on the classic aesthetic to create a new form the likes of which has not been seen before. The curvilinear, flowing arms of these chandeliers, pendants, and wall sconces create a clean, contemporary profile for your home. The Olde Bronze finish combined with Sunset Marble glass diffusers and shades present a natural color palate capable of matching any decor. To add a decidedly different method to light your home, the Olympia Collection lends its unique character to this bold semi-flush mount fixture. It uses a 1-light design that requires a 150-watt (max.) bulb to light its satin-etched white glass cover. 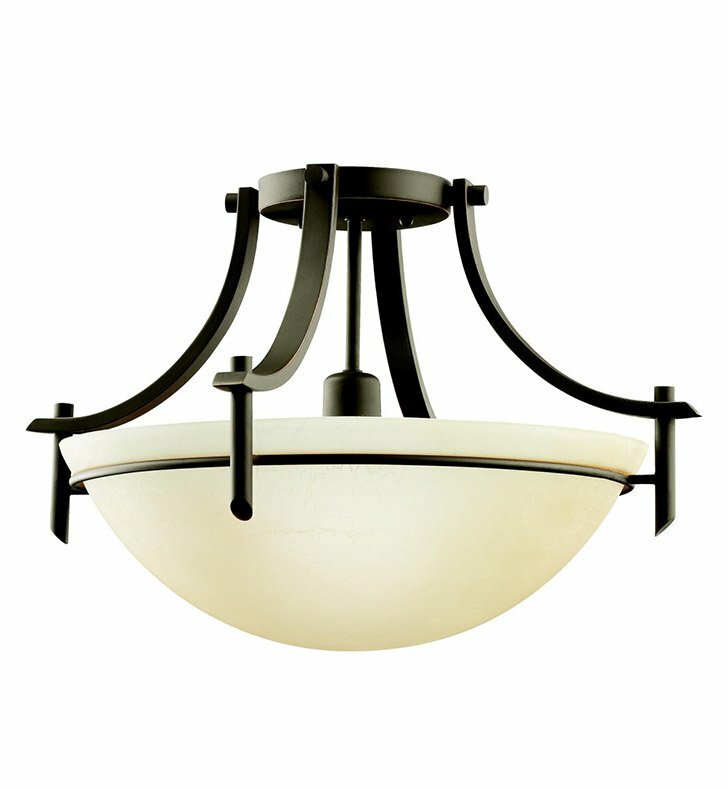 If you want a unique look for any room in your home, there is nothing quite like this fixture. Dimensions: H 12" x W 18"